Are you ready for Easter Sunday on April 5th? 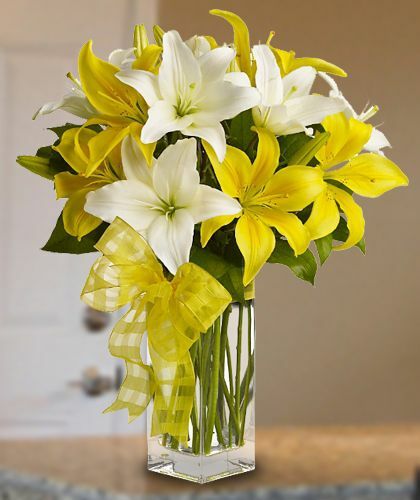 Carithers Flowers is your go-to Easter flower arrangement, Easter lily, and Easter gift basket partner for decorating your home, finding a gift to take to a party, or sending a gift to a loved one in Atlanta or anywhere in the country. Here are some ideas for gifts and decorating this Easter. 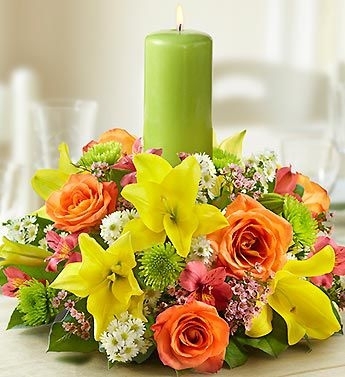 The Spring Easter Centerpiece with candles is a larger flower arrangement that is idea for table seating of six or more. This one features an array of spring flowers plus three taper candles. 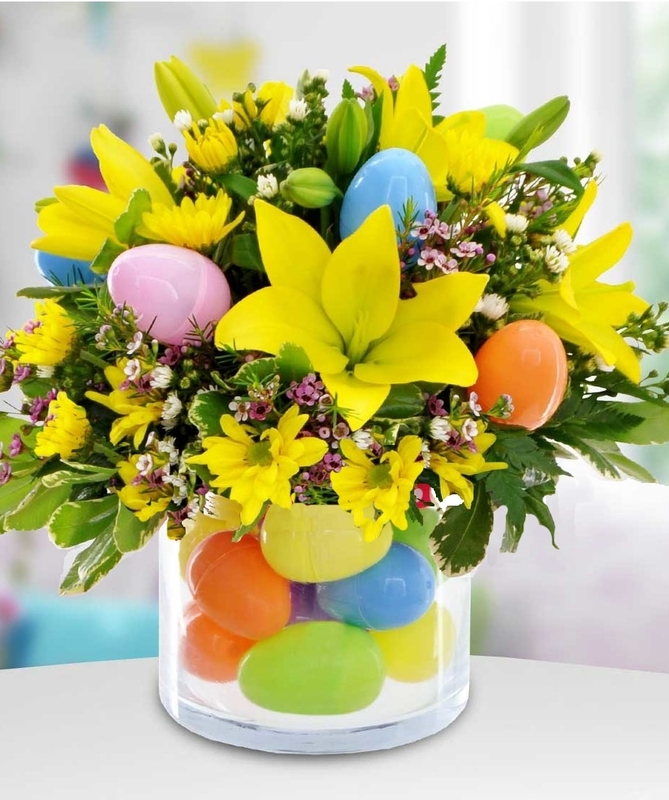 The Easter Egg Hunt Centerpiece showcases Asiatic lilies, spring daisies, asters, and Easter eggs. It is more compact, making it the perfect size to use as both a room accent or as a table centerpiece for a table setting of four. The Spring Centerpiece trio allows you to spread out the arrangement or use as a special arrangement for each table setting if you purchase more than one. Each of the glass cubes features many colorful spring flowers. 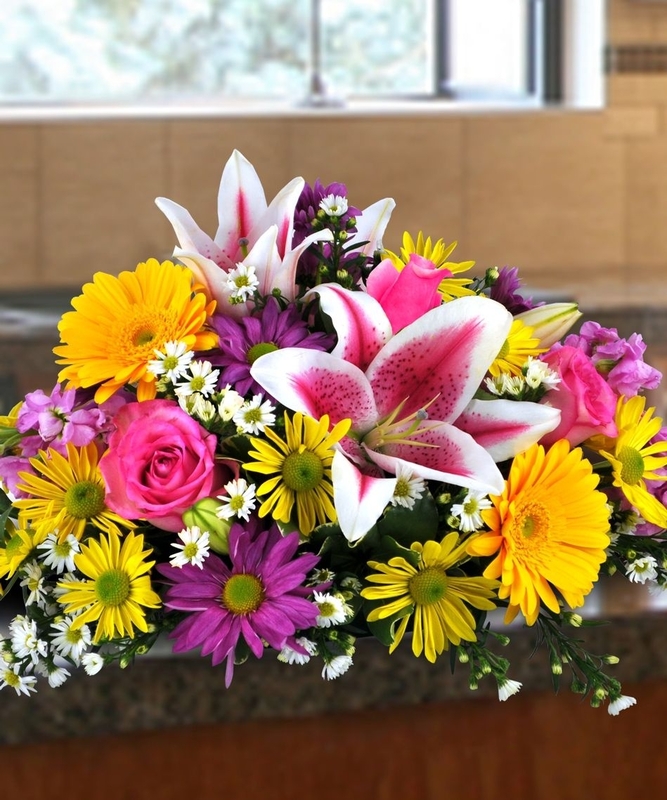 The Deluxe Easter Spring Centerpiece is a long and low style flower centerpiece that features stargazer lilies, garden roses, and many other spring flowers. 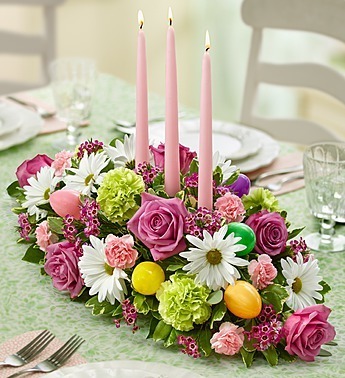 The Spring Pastel Centerpiece with Candle is a lush flower arrangement that fits any type of Easter table. It offers a collection of gorgeous spring flowers, including roses, lilies, alstroemeria, poms, waxflower and more as well as an elegant pillar candle. 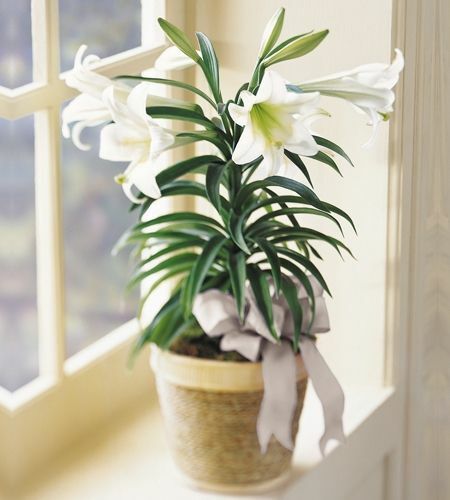 An Easter Lily is a special symbolic gift to give that represents the spirit of the holiday. It arrives in a basket with a holiday bow. Pastel Palette is a sweet flower arrangement that consists of a bubble bowl of garden hydrangea and roses. 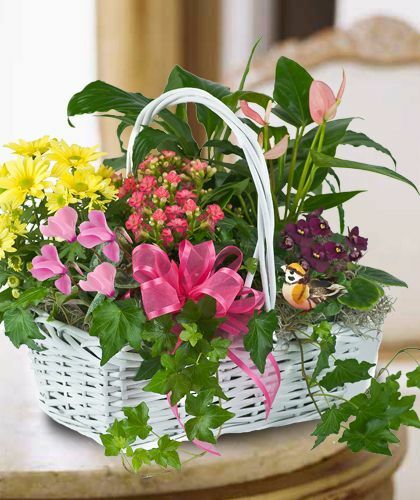 The Sweet Bird Blooming Plant Garden is a long-lasting and colorful blooming garden basket that offers many types of flowers in a wicker basket. Easter is not Easter without an Easter basket and we have all sorts to choose from at Carithers. 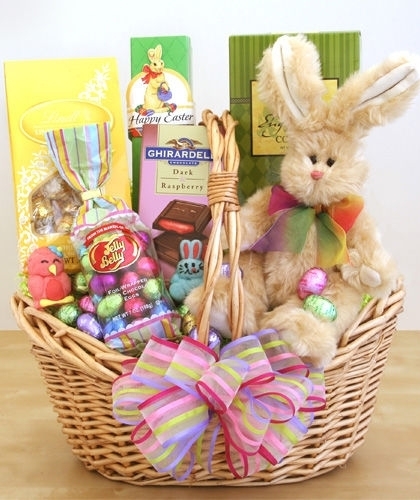 Even better is the fact that you can create your own Easter basket with our designers, selecting from our wide array of Easter eggs, gourmet chocolate bunnies, candies, and many types of plush bunnies. While we have three styles and sizes available, we can further customize your Easter basket to your budget and preference. 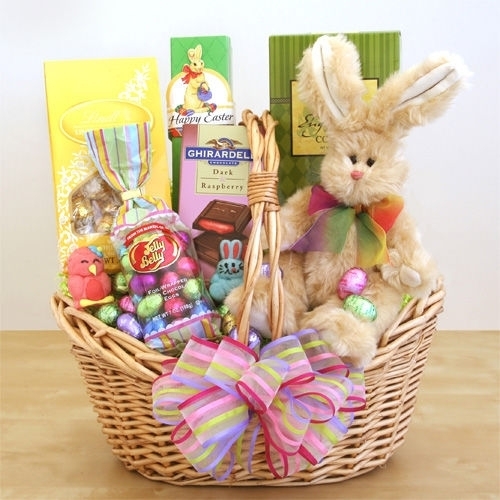 Just call us at 770-980-3000 to create your Easter basket and arrange for delivery by Easter. Besides our Easter baskets, you may also like our fresh fruit baskets, gourmet food baskets, or a dozen Easter brownies. The gourmet brownies come in a decorative box dressed up for the Easter holidays. Many of our Easter flower arrangements, Easter centerpieces, and Easter baskets are now on sale. Now is the time to order to ensure delivery by Easter. Call us, visit any of our Atlanta flower shops, or order online today! Easter Holiday is Here! Time to Spring into Your Love of Flowers! In spring, everyone’s fancy turns to love and to flowers. Tender green shoots are rising up through the chilled soil, and we all turn to the beauty and color of flowers to remind us that everything is new again. The winter cold is over and the world is once again warm and alive. Spring is definitely that transition season between winter and summer. On April 8, people of the Christian faith gather to celebrate Easter. At Easter, we remember the joy of discovering our spiritual side. Our hearts are uplifted, and we naturally want to share these wonderful feelings. 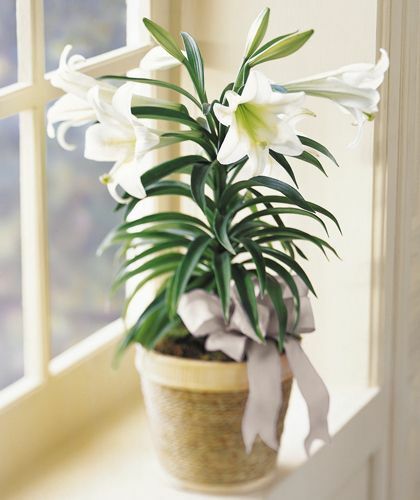 The Lily is the flower most associated with the passion of Christ, and the white Lily is especially appropriate to have in your home at this time of year. 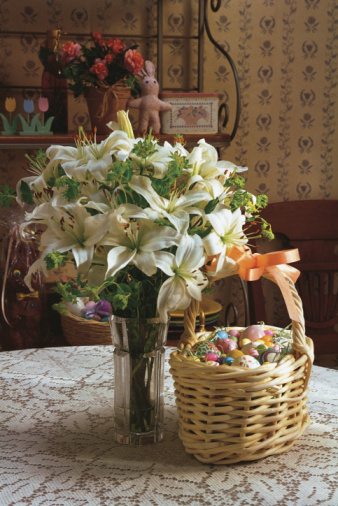 Send a blooming Easter Lilly or basket of colorful tulips to someone you love. 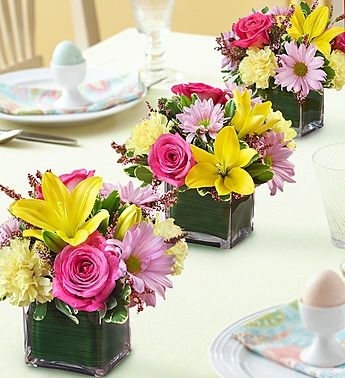 Put a beautiful mixed flower Easter centerpiece on your table when you celebrate Easter brunch or dinner. Place some blooms among the colored eggs for a special look. Choose one of the special Easter Baskets that feature chocolate eggs, candies, plush bunnies and other gifts for the kids or even the adults. 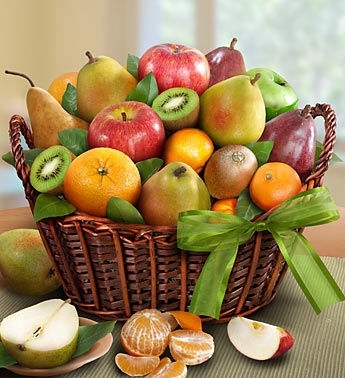 You can even select a fresh fruit basket to make it a season of health! The choice is yours! The warmth of this season of renewal brings out the best in all of us and sharing that joy is what the Easter season is all about. There are so many ways to celebrate the coming of spring whether it is a gift basket of delicious fresh fruit or a lovely arrangement in a delightful vase. There are even available goodies like a dozen Easter brownies to gift to a special friend or the Easter “Bunny Love Brownies” that include a sweet stuffed animal. Hurry though as quantities are limited and Easter is just a hop, skip, and a jump away! Although the Lily is the flower that reminds us most of Easter, it is Tulip time in Amsterdam. Visitors to the famous Keukehof Gardens get a real treat. The gardens are filled with spectacular tulips and other varieties of flowers. Although tulips are the special flowers associated with the Netherlands and Amsterdam, you don’t have to go all the way to Amsterdam to see beautiful tulips. 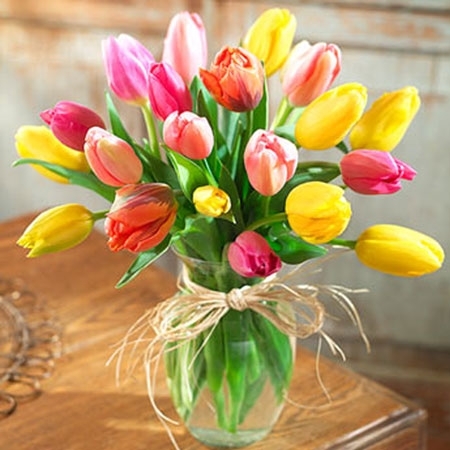 At Carithers, we are celebrating tulip time with gorgeous mixed-color or deep purple tulips. 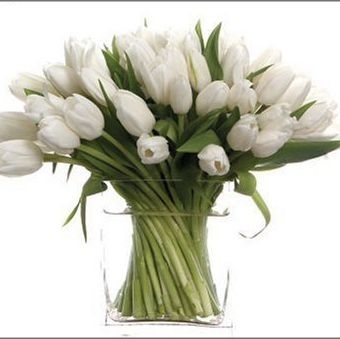 And, we even have tulips with a special discount of 30% off! In fact, with all the colorful choices in flowers and the special gift baskets it is fun just to look at all the new items. Making a choice is difficult, but ordering from Carithers is easy. Once you have found the special arrangement or gift basket you want, just click on the picture and continue to shop. 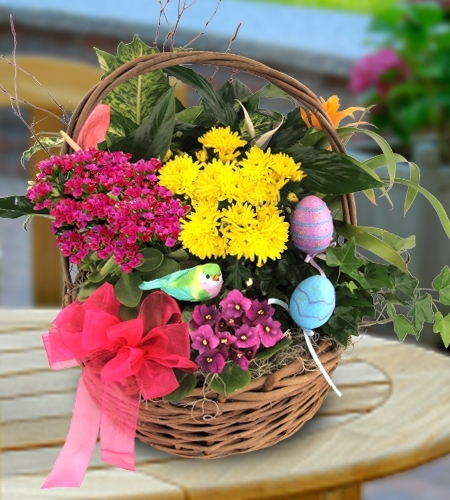 Celebrate Easter Sunday with an Easter basket from Carithers Flowers. Each of Carithers Flowers’ Easter floral arrangements and Easter gift baskets can be custom designed by a talented team of professional floral designers who can create the perfect gift to fit your budget and your needs. From a spa gift basket “just for her” to traditional chocolate Easter eggs and gourmet chocolate bunnies and candies to a children’s themed basket filled with sweet treats, games, and plush bunnies, all you have to do is call Carithers Flowers at (404) 418-7443 to create your custom Easter basket and arrange for immediate delivery. The “pick a price” option on the Carithers Flowers website (www.carithers.com) also allows you to choose Easter baskets, plants, and flowers in a variety of styles from large to small, modest to grand, and to fit every budget. Carithers Flowers can also help you decorate your home for the Easter holiday. Add an extra touch to your Easter dinner table by filling a traditional wicker basket with mixed spring flowers to use as a centerpiece. Place blooms among the eggs in your Easter basket or, for a charming effect, place smaller baskets and candles next to the flowers to add oomph to your Easter celebration. Call Carithers Flowers at (404) 418-7443 or go to www.carithers.com to place your Easter flowers and Easter baskets order today. Voted Best Atlanta Florist, Carithers Flowers offers same-day deliver in the metro-Atlanta area including Acworth, Alpharetta, Austell, Buckhead, Canton, Conyers, Decatur, Duluth, Dunwoody, Kennesaw, Lawrenceville, Marietta, Norcross, Roswell, Sandy Springs, Smyrna, Stone Mt, Tucker, Woodstock. There’s no mistaking it’s spring when you walk into any one of Carithers Flowers metro Atlanta shops. In April, Carithers Flowers extensive showrooms are filled with bulb and blooming plants ranging from daffodils to hydrangeas to irises and, of course, lilies (the most popular flowering houseplant purchased for Easter, according to ISPOS – Insight Floral Trends Consumer Tracking Study, 2005), all ready for Easter delivery. Each Easter floral arrangement is individually created by a staff of professional floral designers with the kind of care and attention to detail that has earned Carithers Flowers the title of Best Atlanta Florist for 10 years running. The “pick a price” option on the Carithers Flowers website (www.carithers.com) allows customers to choose Easter baskets, plants, and flowers in a variety of styles from large to small, modest to grand, and to fit every budget. 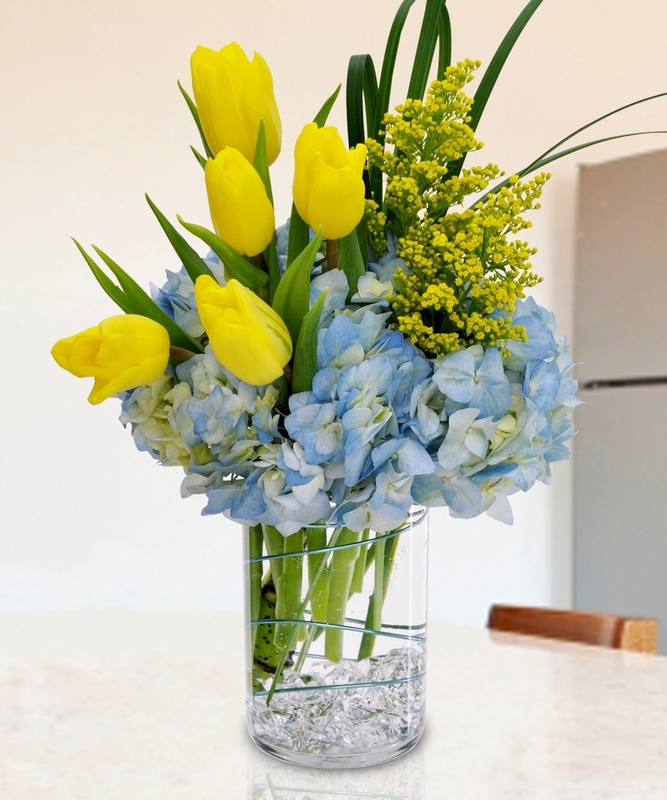 Flowers are the perfect way to add warmth, radiance, and cheer to any Easter celebration. An Easter floral arrangement makes a beautiful centerpiece for Sunday brunch or dinner with friends and family. Let Carithers Flowers custom-design a handmade Easter centerpiece for your entryway or dining table. Place a small Easter bouquet filed with irises, lilies, daises, or tulips next to each place setting at your brunch of dinner table. Guests can each take home a small vase filled with fresh spring flowers as a parting gift. Garnish hors d’oeuvre platters with freshly clipped daises or roses. Insert popular Easter flowers such as garden hydrangeas, gerbera daisies, or violets into a wreath for your front door or foyer for a festive and colorful welcome for guests. Filling your home with a fragrant and colorful Easter floral arrangement is sure to bring joy to you and those around you. Carithers Flowers, voted Atlanta’s Best Florist by Consumers Choice is recognized as one of the Top 25 Florists in the Nation by FTD. Award-winning florist, Charles Carithers perpetuates the customer-focused tradition that he and his family-owned business have followed for three generations. 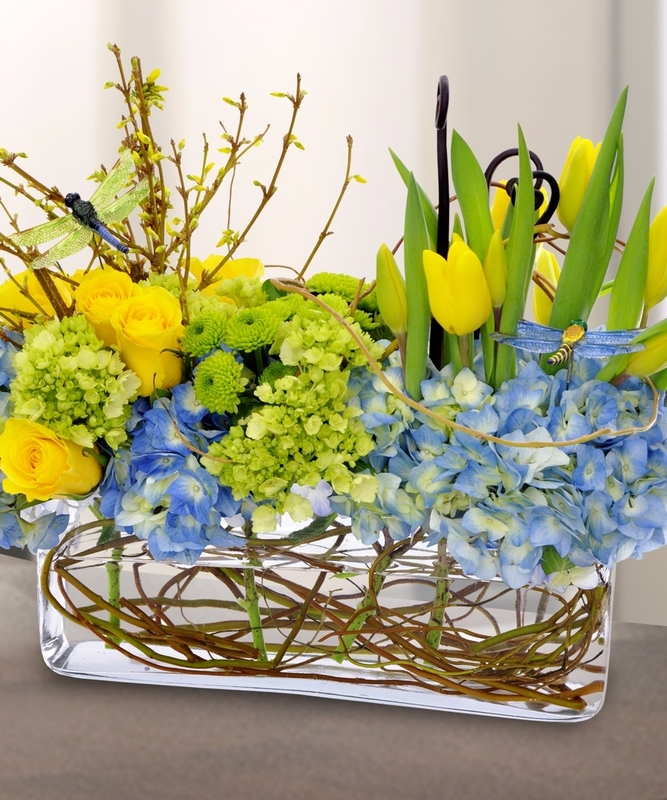 Allow Carithers Flowers the honor of designing and delivering your Easter flowers this year. 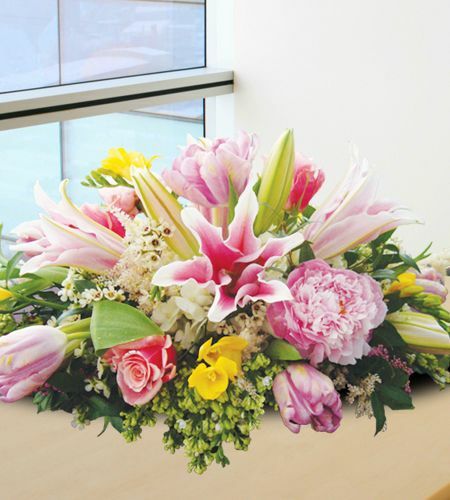 Visit Carithers Flowers online at www.carithers.com or call (800) 647-8182 to place your order today. 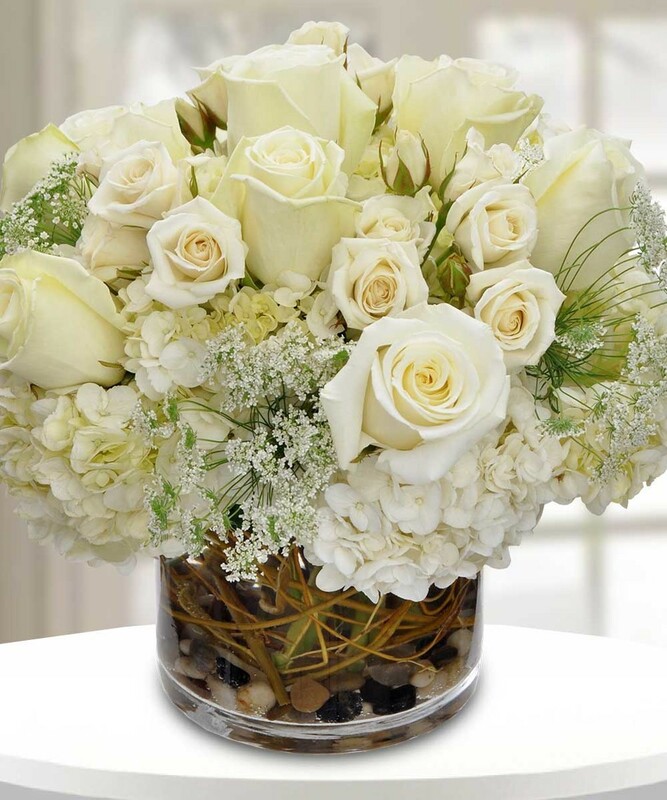 Carithers Flowers offers same-day flower delivery in Atlanta and across the United States. Follow Carithers Flowers on Twitter and receive 10 % off your Easter flowers order using the special Twitter promo code.